Is Green Coffee Just an Elaborate Fraud? Green coffee is not a special kind nor a particular way of processing coffee. It’s actually a normal Arabica coffee, which however hasn’t been roasted. Not being exposed to high temperature allows the coffee beans to retain the healthy elements they are usually bound to lose. The elements of concern when talking about green coffee are called phenolic compounds. They are usually removed by the coffee bean roasting. Chlorogenic acid is one such compound that is also found in ivy or dried plums. It catalyzes the transformation of starch to sugars and bolsters the ability to extract sugar from starch. These scientifically proven facts allow for the decrease of caloric intake and the increased ability to burn body fat. 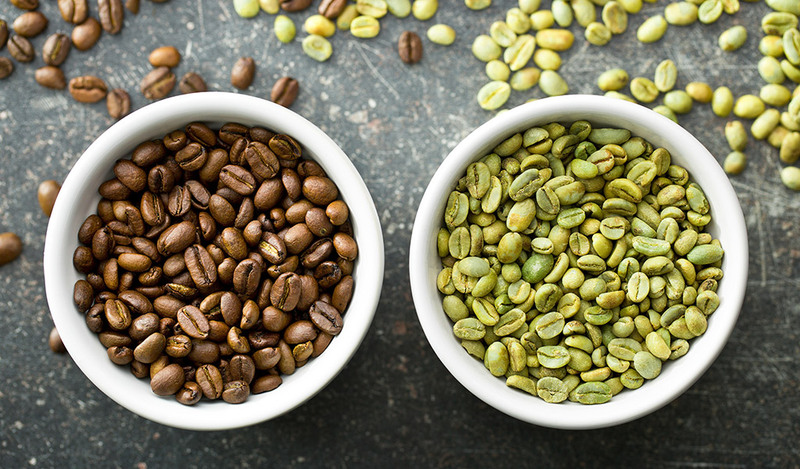 Lately there have been a few pieces published on the positive effects of green coffee on the gallbladder – as a prevention against gallbladder stones. If that wasn’t enough, green coffee is said to help fight cellulite. Is it a fraud then? The ways our bodies deal with body fat are still the subject of many research projects, however it is very likely that the consumption of green coffee helps us get thinner! Green coffee contains elements that affect the transformation of sugar to body fat and, more importantly, green coffee reduces our appetite. What’s all the negativity about then? Many people online claim that they know for sure green coffee doesn’t help at all, that it’s actually a fraud. That is caused by various companies that use the label “green coffee” to sell products of inferior quality that have little to do with actual green coffee. It is therefore imperative that you carefully check what it is you’re buying. You can help yourself navigate the many brands by sticking to well-known names or by checking online reviews of the particular product. A key factor to consider is also the percentage of chlorogenic acid (also known as CGA 800). How is green coffee prepared? Unground green coffee beans are left to soak up in a bowl of chill water. If the coffee is already ground, skip this step. For one cup of green coffee you will need approximately 7 grams of coffee, which is about two teaspoons. Pour over with boiling water and brew for about 5 minutes. It’s good to know it tastes a little like green tea, but no worries: the taste is still mostly coffee-like. The final beverage doesn’t produce foam, so don’t expect a cappuccino look. If you are buying unground coffee, remember it takes a high quality grinder to tackle the tough beans. As green coffee contains a lot of caffeine, it is recommended that expecting and recent mothers avoid drinking it. And if you happen to think green coffee won’t satisfy your gourmet taste, rest assured green coffee beans are as carefully picked as it is the case with any other high quality coffee. It is even possible to purchase green beans of Brazil Santos coffee, that doesn’t need any introductions. Green coffee (as well as its „black sibling“) contains a high percentage of caffeine, that is proven to help burn body fat and reduce appetite. As it doesn’t go through the roasting process, green coffee manages to retain even more caffeine than normal coffee. Aside from that, green coffee reduces blood pressure, acts as an antioxidant and helps your brain function better. Nevertheless, consuming high quality green coffee won’t hurt you. But beware: as with other diets, it’s necessary to adjust your lifestyle. In this case it means to eat less and exercise more. What is the Coffee Belt and Which Countries Belong to it?